I acquired this beautiful little girl from Carl Aiken in a trade back in late 2008. 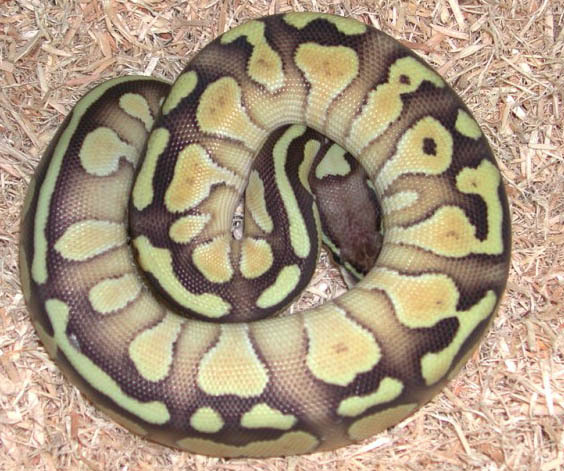 Carl used a beautiful Lemon Pastel Jungle along with the Lesser Platinum to produce this animal along with a few other great examples of this designer morph. 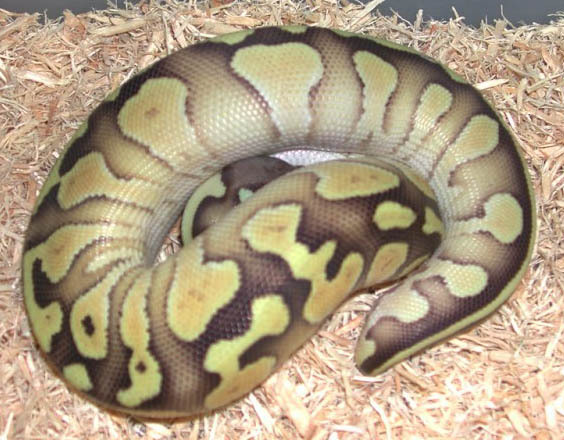 He has also produced Super Pastel Jungle Lessers which besides their beauty, have a ton of genetic power for future breeding projects. I of course can't wait to start on my own projects to incorporate this girl into what is now (June 2009) 20 base morphs to mix and match for years of creating living art.